Merlin Gonzales believes in the power of kindness. As founder and president of Faith Hope and Love Community Inc., he demonstrates this belief by addressing food insecurity in Indianapolis. 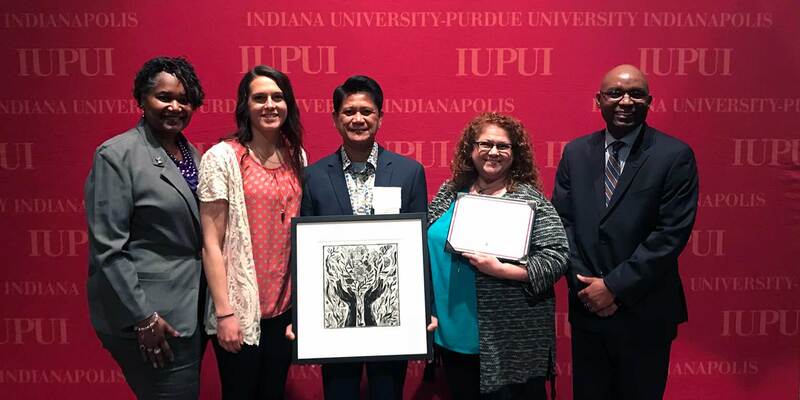 In this, IUPUI is Gonzales's perfect partner considering the value we place on service, engagement, and community. Paw's Pantry, the university's student-created and student-run food pantry within the Division of Student Affairs, was a natural collaboration between Gonzales and the IUPUI campus. "I had the privilege of meeting co-founder Joe Spaulding when Paw's Pantry was getting ready to open in 2013. A few years later, Faith Hope and Love began providing fresh produce and other nonperishable food items to Paw's Pantry," said Gonzales. 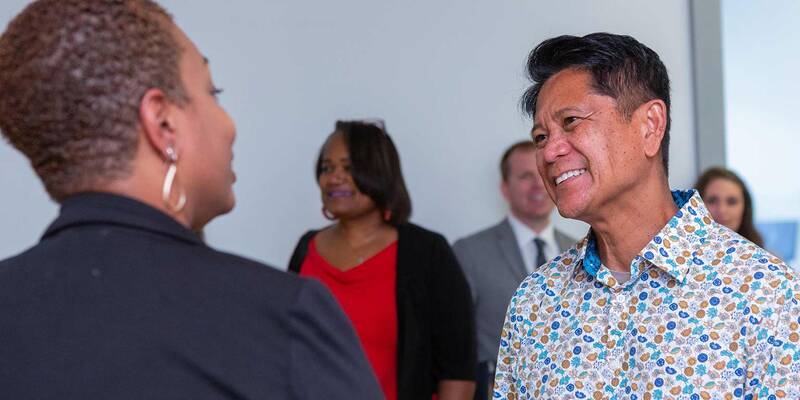 After experiencing the pain of hunger first-hand while growing up in the Philippines, Gonzales was surprised to discover that food insecurity was also a critical issue in the United States and even in Noblesville where he lives with his wife and two children. His answer was to develop food pantries designed to provide the at-risk population with food, supplies, and connections to resources within the community to establish long-term stability. 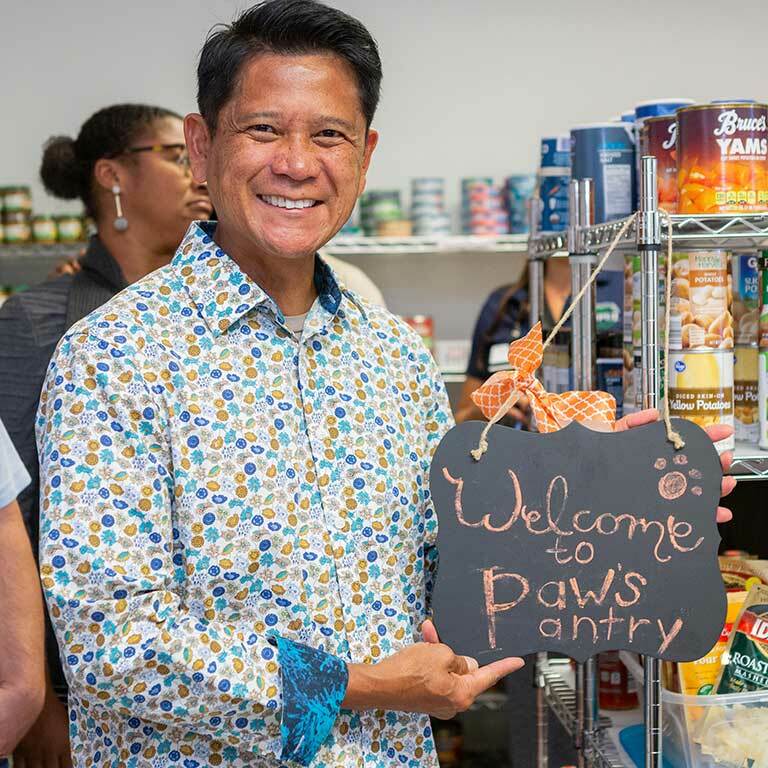 That led Gonzales and Faith Hope and Love to Paw's Pantry, an all-volunteer operation that partners with Faith Hope and Love for regular donations to stock its own shelves. "I believe that a food pantry is needed in many colleges and universities. Paw's Pantry is setting a new standard in our country. It is just a matter of time before more institutions follow this trend, and I am privileged to be a part of it. As Paw's Pantry grows, more students are open to using its services. Their dignity is preserved, and their quality of life is improved, directly and positively impacting their future," Gonzales said. Paw's Pantry, which just re-opened in a new larger space within the Campus Center, is part of a network of organizations on campus that addresses food insecurity. The Campus Kitchen within the Office of Sustainability at IUPUI (CKIUPUI) rescues quality food that would have otherwise gone to waste from food services on campus. CKIUPUI partners with Paw's Pantry to provide meals on campus, as well as with organizations like Wheeler Mission to provide nutritious meals for clients in the Indianapolis community. Merlin Gonzales and Faith Hope and Love are valuable partners in this vitally important effort to improve the lives for faculty, staff, and students on our campus and for people in the city that we call home.